A native of Cusano, a town near Milan, Paolo Venini envisaged a career as a lawyer until his encounter with Milanese antique dealer Giacomo Cappellin, after World War I, set him on a different path. 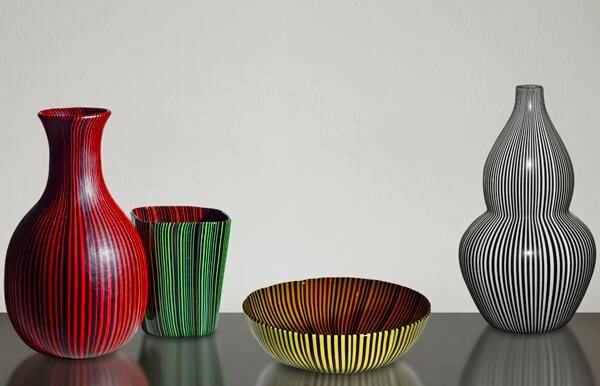 Joining forces with the master glassblower Andrea Rioda, the two men established, in 1921 in Murano, the company Cappellin Venini & C., which would breathe new life into the traditional glass industry on this island to the north of Venice, the main centre of European production since the end of the 18th century. The company soon took on the services of painter Vittorio Zecchin, and under his artistic direction, Art Nouveau would influence the first creations to emerge from its kilns. Nor was Venini an ardent defender of tradition: throughout his life, he would seek to shake free from it by experimenting with new techniques. 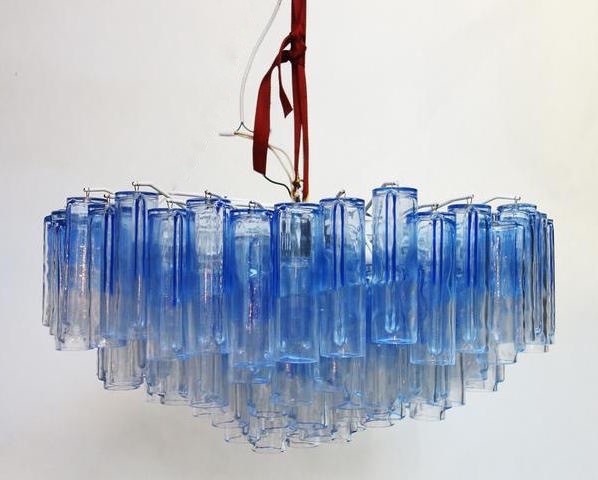 He would notably be one of the first on the island to use methane, opening up an infinite field of colours – and pushing forward ongoing stylistic research stretched by countless collaborations. 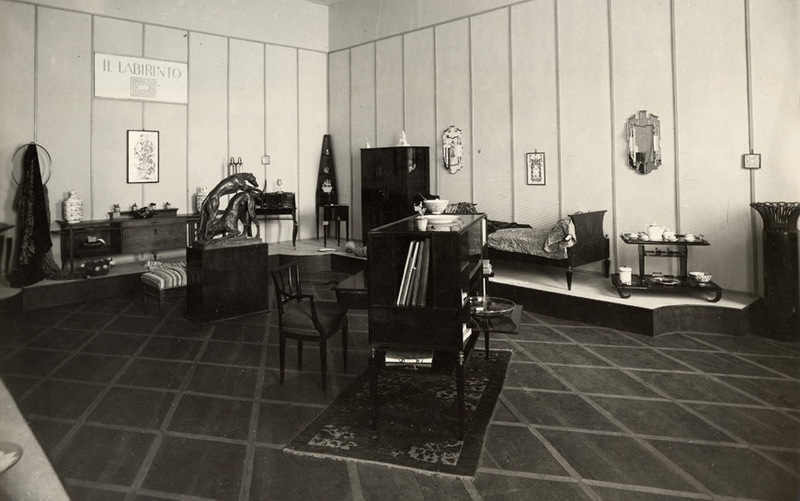 From 1923 onwards, the young company showed its productions at the Monza decorative-arts exhibition, then at the biennales in Venice, Milan, Rome and Turin. 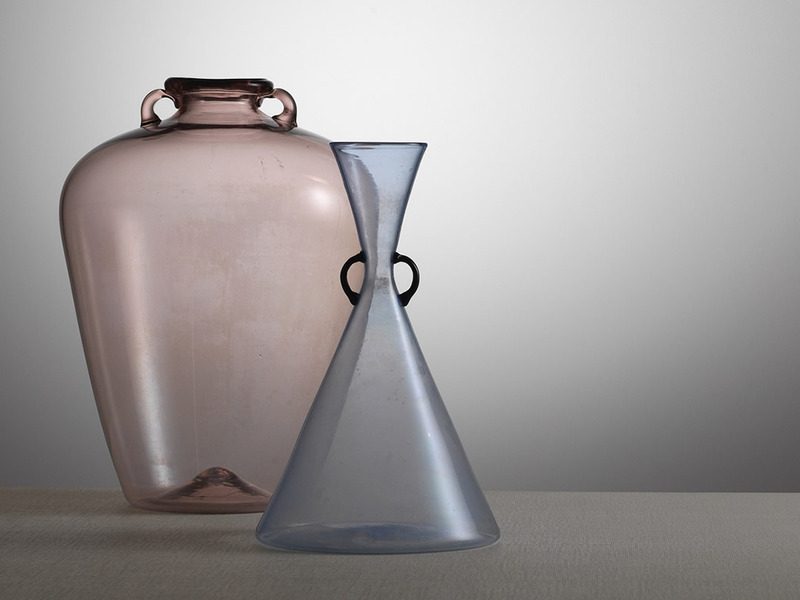 Each time, it roused the interest of various international museums that added its works to their collections as of 1930 – namely the MoMA in New York and institutions in Scandinavia, a region on whose twentieth-century designers Venini left an enduring impression. But the Cappellin-Venini partnership didn’t last, and once the divorce was finalised, Paolo found himself, in 1925 (at the age of 30 years), at the head of VSM Venini & C. Under his leadership, and with artistic direction handed over to sculptor Napoleone Martinuzzi, the staunchly modernist bent of the glassworks – still today housed inside an eighteenth-century church in Murano – strengthened and production diversified. 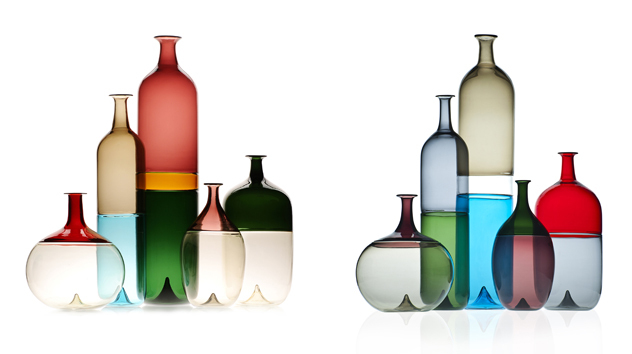 The vases it originally produced were joined by stylised animals, flowers and fruits, as well as a broad range of light fittings, aimed at private customers as well as the public market. 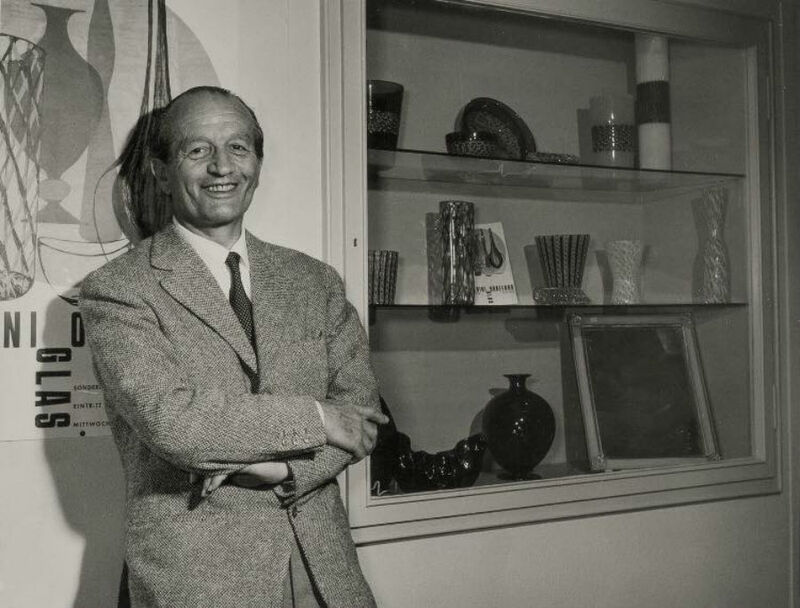 A visionary entrepreneur, the former lawyer whose ancestors owned a kiln near Lake Como (so the legend goes), had a knack for finding support among talented individuals. 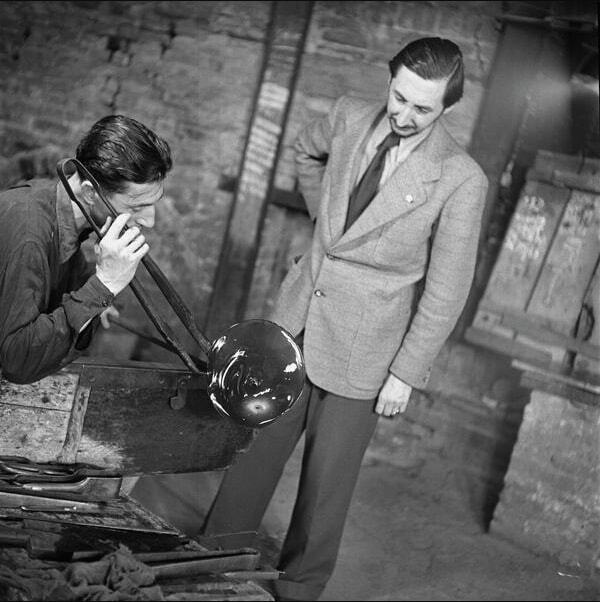 Architects Tomazo Buzzi and Giò Ponti, artist Carlo Scarpa, Swedish ceramicist Tyra Lundgren – responsible for the legendary leaf-shaped dish, which would inspire many variations –, American painter Ken Scott, and designer Fulvio Bianconi are some of the great names associated with the Venini glassworks in the interwar period and up to the end of the 1950s. 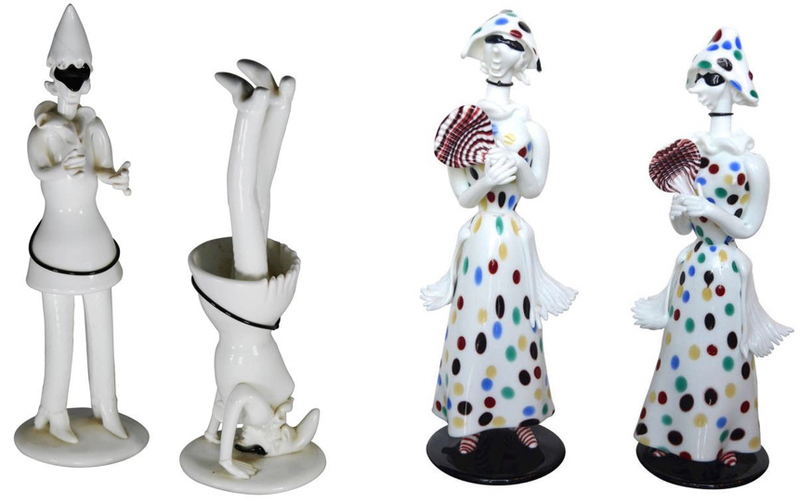 Bianconi notably came up with the famous Fazzoletto, the handkerchief-vase deemed one of the “classics” of the prestigious Venetian house (today retailing for nearly one thousand euros), as well as Commedia dell’Arte figures. 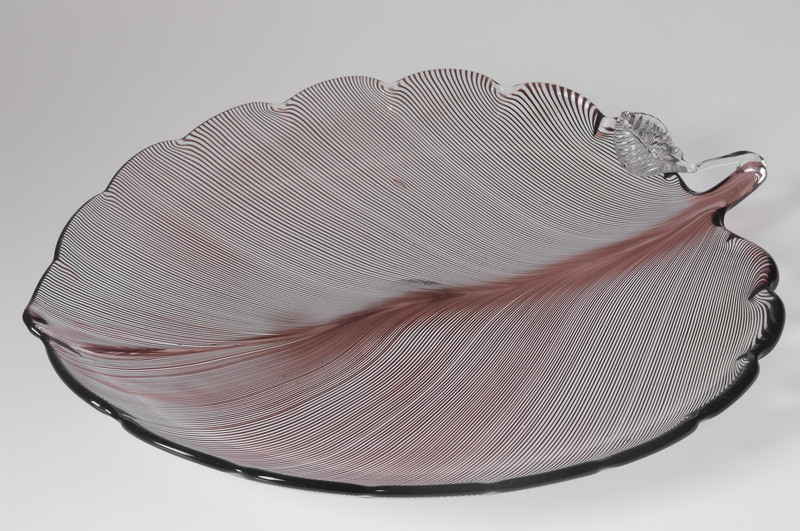 In tandem with these fruitful collaborations, Paolo Venini developed post-war decorative techniques for fine blown glass, and also for modelling solid “sunken” glass. 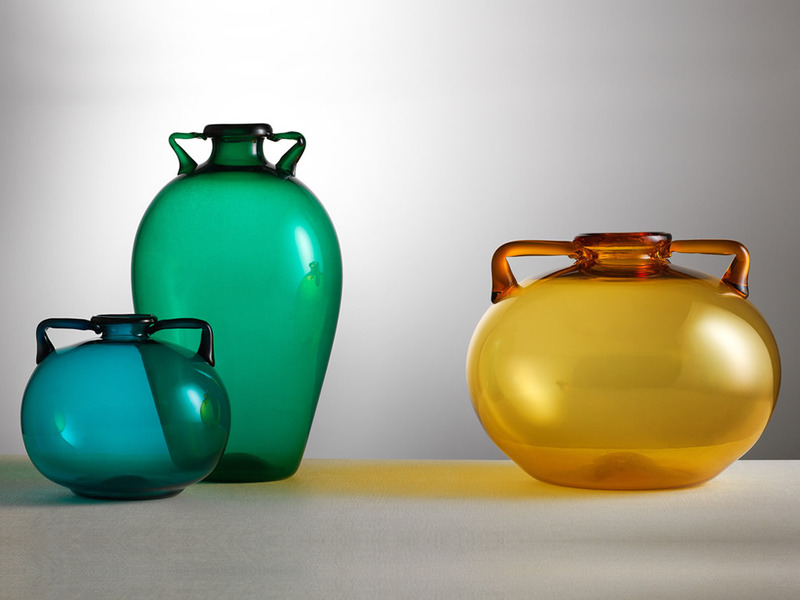 The founder of the glassworks and brand now known Europe-wide died in 1959. 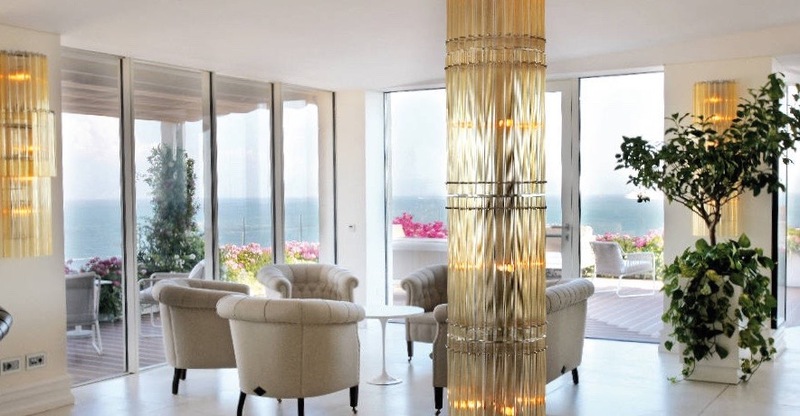 At that point, his son-in-law, architect Ludovico Diaz de Santillana, found himself at the head of the family business, and he would perpetuate Paolo’s spirit of technical innovation and recourse to leading contemporary artists for stylistic input. 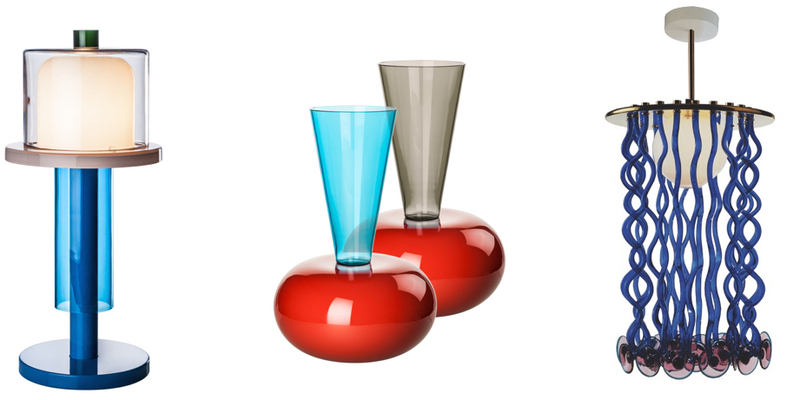 In this way, Tobia Scarpa (Carlo’s son), Finland’s Tapio Wirkkala, and Italian architects and designers Alessandro Mendini, Gae Aulenti and Ettore Sottsass, helped fill out the catalogue and promote the company which would remain in the family’s hands until the end of the 1980s. 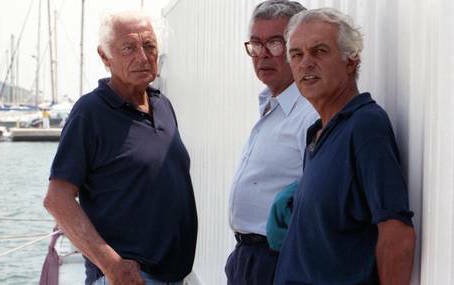 In the 1980s, Venini became a genuine economic and strategic force in the eyes of major Italian financial groups, dominated by personalities such as Arturo Ferruzzi and Raul Gardini, who would end up owning a majority stake of the company in the middle of the decade. In 1997, after various acquisitions in its sector of activity (glassware and lighting), the company generated a turnover of 20 billion lire and had over a hundred employees. The Italian market no longer represented any more than 50% of the company’s production and exports, whose focus had shifted from Europe to the United States. 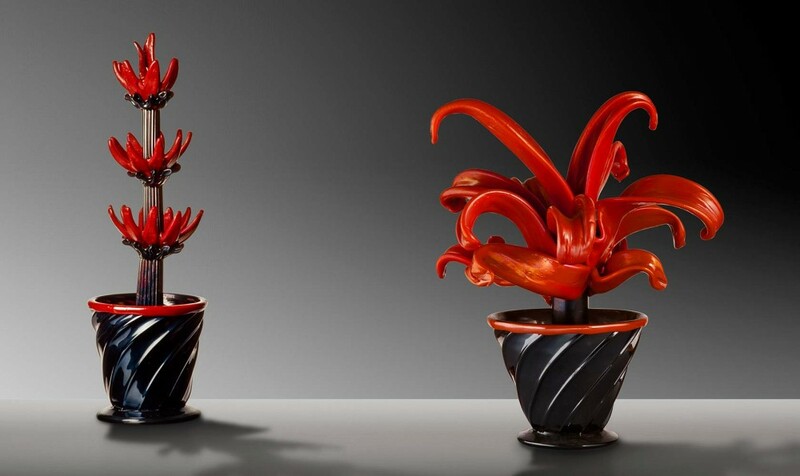 That same year, Gardini sold the Murano glassworks to the Royal Scandinavia group. The latter would only keep it in its portfolio for four years before selling it to Italian Luxury Industries, a group that notably pursued its international-development plan by setting up exclusive-distribution agreements. 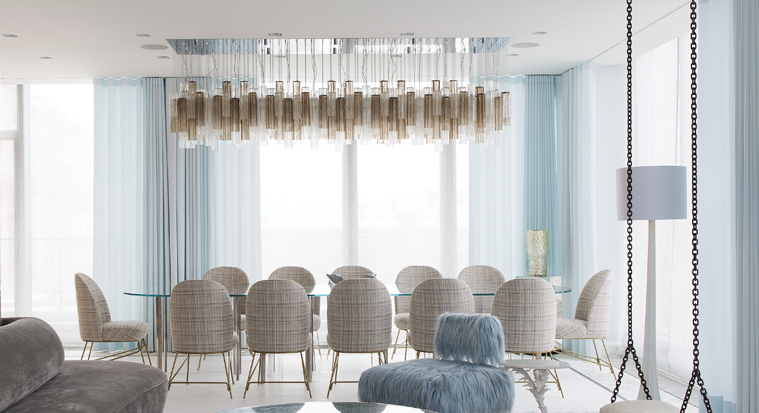 In 2016, it was the jewellery company Damiani that acquired this gem in luxury glassware – a gem that had not been left unscathed by the crisis at the end of the 2000s. Between 2008 and 2015, Venini’s turnover dropped from 15 to 10 million euros, and prior to its takeover, its 70 employees even had to go through a temporary lay-off phase. The majority shareholder intends to boost synergies with its own activities, namely by designing glass-jewellery lines. 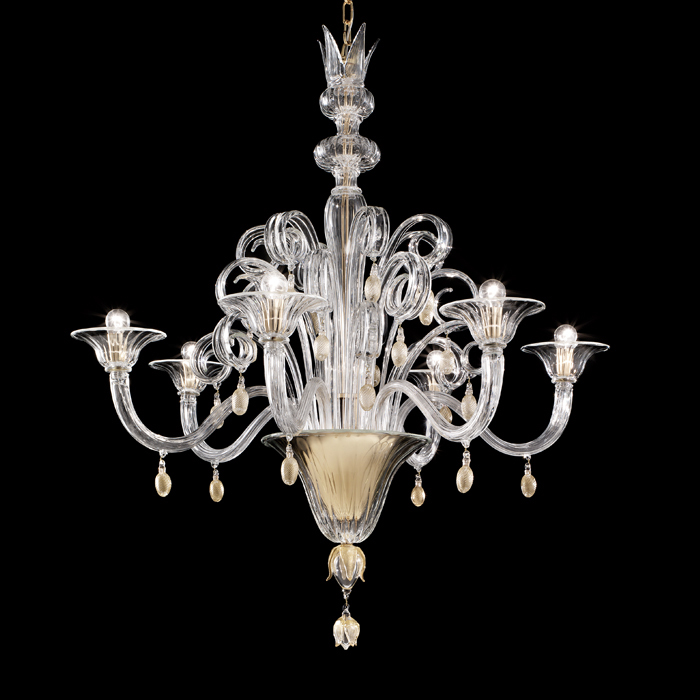 The decoration and lighting sector geared at hotels and luxury boutiques (some chandeliers sell for more than 100,000 euros) is another sector with significant development potential as the Murano glassworks, armed with colourful light-filled wares, heads towards its centenary, piano e sano. Discover more from Venini on Barnebys.